Dengan menggunakan serbuk dadih segera perisa mangga, senang je. Just follow the recipe on the packaging. Hahaha. Mine was using Nona, 130 g. Except instead of 1500 ml of water, I added another 100 ml totalling up to 1600 ml. Because I read up if you added more water, your dadih will be softer. Tapi tak berani tambah banyak-banyak... Hahah. Okayla, lembut la jugak. The mango chunks? No, they didn't come together in the packet (in case you're wondering). I cut out some fresh mangoes into small pieces and added them in together when I pour in the dadih mix. You have to boil water, sugar, and your susu Ideal first before adding in the instant dadih powder. 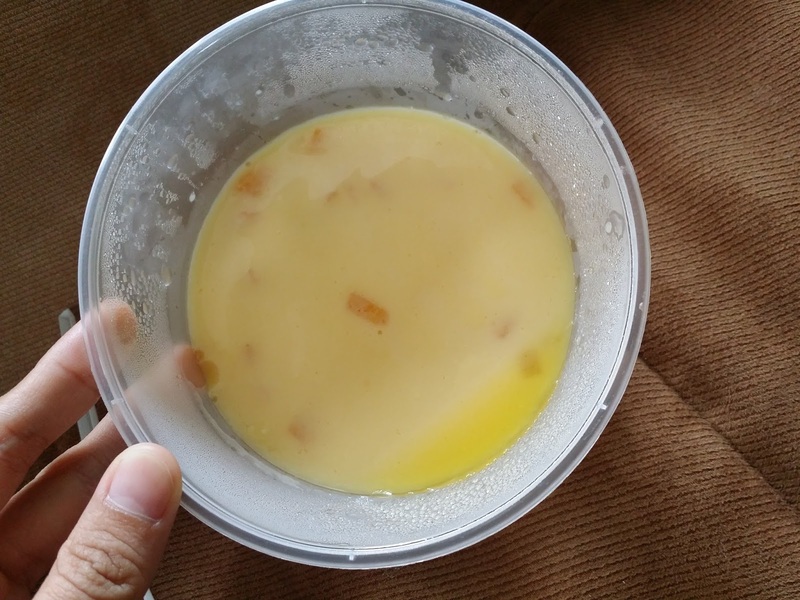 It was my first time making dadih. So, yeay! One more new recipe for 2017! I targeted 10. 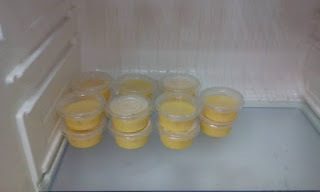 Oh by the way, the initial plan was to make about 20 dadih in small containers for my husband to bring to his office for sedekah Jumaat. 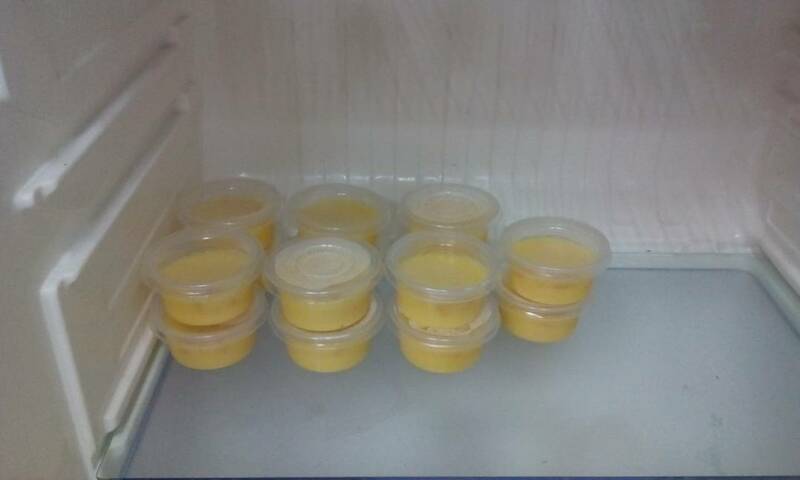 But since Sofia woke up already, I only made 14 small containers and 4 big ones like the one in the first picture (nak cepat siap). Hahah. Well, I guess siapa cepat dia dapat la huh.